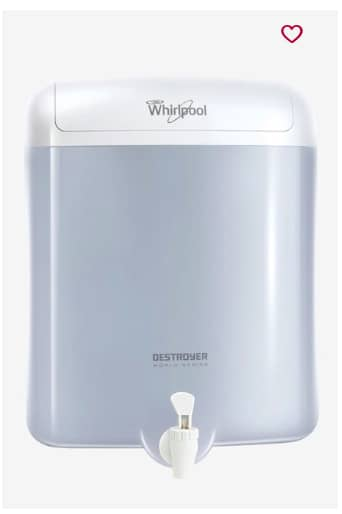 The Whirlpool Destroyer Water Purifier provides tasty and pure drinking water with the help of its unique EAT filter that has the power of four filters in one physical filter. Equipped with electro adsorption technology, this 6-litre purifier retains the natural essential minerals present in the water. It comes with the 5-stage purification process to provide safe and clean water. This non-electric purifier restricts wastage of water.